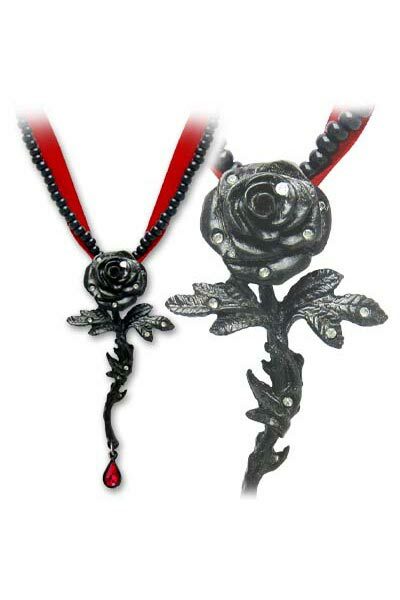 The unattainable black rose bleeds for what cannot be unique black-pewter finish, studded with Swarovski crystals and hung on a satin and bead necklace. By Gothic Alchemy. 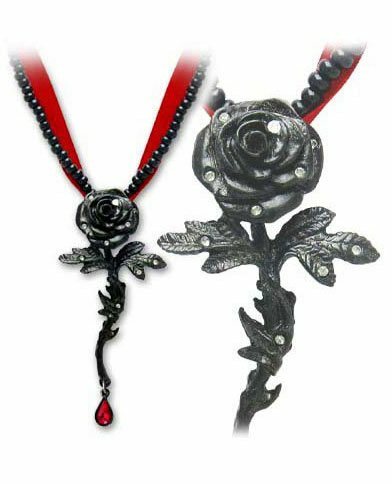 I LOVE this necklace I'm gonna wear it on my wedding day. It's been my dream. It goes great with the colors I wear and the length is good on me. Plus I have no problem with it pulling on my hair. I love almost everything from this store.